Jo Anne Boorkman, AHIP, FMLA, grew up in Long Beach, California, and graduated from Scripps College with a major in biology. 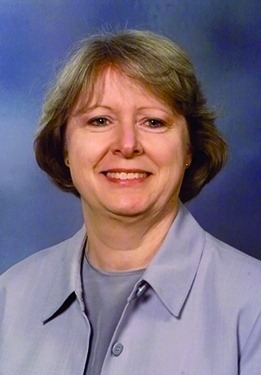 She earned her master’s degree in library science in 1971 from the University of Illinois, where she took biomedical library courses and a summer medical reference class in Chicago. Her early interests and training led to a career in medical libraries. A dinner with Louise Darling resulted in a job offer at the University of California–Los Angeles Biomedical Library, and Boorkman’s first position as bibliographic search analyst in the Pacific Southwest Regional Medical Library. She began her tenure immediately, with a three-month MEDLARS training class (six weeks of training in MeSH and indexing and six weeks of supervised searching) at the National Library of Medicine, just before NLM transitioned to AIM-TWX and to online searching. At UCLA she was involved in the first MEDLINE training classes for librarians conducted at the Regional Medical library. She worked at the Biomedical Library from 1971 to 1977, where she advanced to assistant head of the reference division. 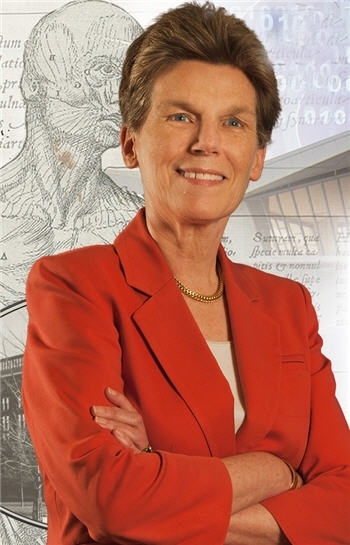 Boorkman next moved cross-country to the University of North Carolina at Chapel Hill Health Sciences Library, where she served as head of public services, 1977–1981, and head of collections development, 1981–1984, and worked for another influential library director, Sam Hitt. She helped the transition to a new model of staffing for public services and statewide library communication for the North Carolina AHEC program. Her transfer to collection development began a career-long interest in selection from the perspective of public services. She returned to California and spent the rest of her career at the University of California–Davis, where she was head of public services, 1985–1988, and head, Carlson Health Sciences Library, 1988–2008, and expanded her expertise to veterinary medicine. Our library is part of the general library and is also directly affiliated with the medical center and the veterinary school . . . I think one of the challenges has always been we are straddling those worlds . . . we are straddling several cultures. Part of our services has to be to recognize how we approach those in different ways. Her achievements included encouraging staff in their professional development and serving as chair of the Health and Life Sciences Selectors in the California Digital Library. She also moved beyond the library in several positions to advise academic personnel on campus. Boorkman is known for Introduction to Reference Sources in the Health Sciences, an important and successful text that she and Fred W. Roper initiated, which was first published by the Medical Library Association in 1980. Boorkman coedited five editions, through 2008, mentoring numerous authors and editors. There was no text, the resources for teaching [medical reference] were not available . . . I was the one that came up with the idea of the first chapter. We needed something on the organization of the reference collection . . . , then we can talk about the things that go in it . . . What do you know when you are thirty-two years old and have never done anything before like that? . . . We got . . . a combination of experienced librarians and some new librarians to do this . . . and the first edition just fell into place . . . It was very well received, so that was very exciting. She also coauthored the bibliography of reference sources for animal health and veterinary medicine for The Literature of the Agricultural Sciences. Her first MLA meeting was at the Hotel del Coronado in San Diego in 1972. Louise was very good about introducing her new librarians to all these people. Mildred Langner and all of those women of that era, many from the South . . . were all talking and sharing information. I didn’t know any of them, and I didn’t have any context because I was too new a librarian. You just felt you were in the midst of these very dedicated women. Boorkman was elected to the MLA Board of Directors, 1988–1991, and three nominating committees. She was part of the initial planning for the Collection Development Section and served as section chair. [P]eople in collections development got together and decided that there were issues . . . that needed to be focused on. We petitioned to separate from the Technical Services Section, because there was this view, which I still hold, that collection development isn’t just in technical services, it’s the bridge between public services and technical services. She was chair of the Certification Examination Review Committee and the Task Force on Certification and Registry, which recommended a new structure for certification that led to the Academy of Health Information Professionals. She was associate chair of the 2002 National Program Committee for the Dallas meeting. Her first involvement in the Special Libraries Association at the national level was election to chair the Biomedical and Life Sciences Division (Biological Sciences Division at the time). She worked on the relationship of medical librarians to SLA and served as representative between MLA and SLA. [T]here were some people who wanted to create a medical [division] of SLA . . . Well, we worked through it . . . We established a Medical Section [within the Biomedical and Life Sciences Division], so it would have its own identity with its own program . . . There was tremendous angst over this . . . What came out of that was that there are a lot of connections between [MLA and SLA] . . . People joined the organizations for different reasons, so the attempt to create a medical division failed. Boorkman was recognized as Fellow by MLA in 1999 and by SLA in 2000. 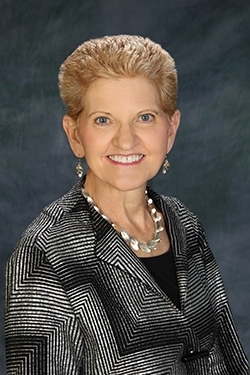 She believed in the value of professional contributions at all levels and was chair of the MLA Mid-Atlantic Chapter and president of the Northern California and Nevada Medical Group. I would say be flexible. Your first job may not be the one that you really want or the best fit for you, but building on that experience . . . can be very important to your career. Sometimes the unexpected can lead to very rewarding professional experiences, personal experiences, and you just grow in so many ways . . . by being able to take advantage of that . . . Make the most of wherever you are . . . If your job doesn’t offer you those rewards, your professional activities and your professional contributions and connections can often provide that outlet for you to be creative and to be a contributor.